What do a $300,000-Maserati and a job centre in Essex have in common? More than you might think. Both have been exquisitely analysed by a growing sector of people watchers applying principles of behaviour economics to the theatre of human transaction, and both were subjects in a riveting conference I attended in Sydney hosted by The Marketing Science Ideas Xchange. 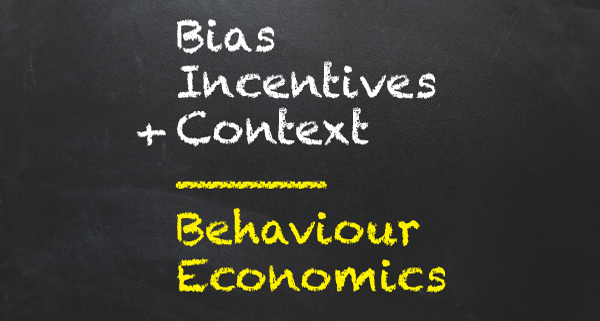 If you haven’t heard or don’t know much about Behavioural Economics (BE) you’re in good company. At Fenton our work often deals in behaviour insights, behavioural psychology, and of course, behaviour change, a staple of the marketing and communications lexicon. But even Alexandra, our resident psychologist, was curious about BE. BE asserts that our economic decisions are subject to the same psychological processes as other areas in our lives. So while we might like to imagine ourselves as empowered customers, immune to the marketeer’s tips and tricks, the act of buying a product or service is complex business. Let’s go back to that Maserati. In his presentation, Ogilvy Vice-Chairman Rory Sutherland addressed us as ‘homo economicus’, and showed Frans de Waal’s famous Capuchin monkey experiment to remind us of our innate ‘fairness bias’. Rory gleefully revealed that Maserati had stopped exhibiting at car shows because their luxury price tags compared rather unfavourably with other cars: the context was all wrong. Placed instead in the midst of shows displaying yachts or private jets, Maserati found a way of changing that perception and making $300,000 seem like an infinitely more modest ask. Thankfully BE is not just about influencing us to buy more stuff. It can also be used for public good, as Alex Gyani, senior adviser in the British Government’s Behavioural Insight Team showed in his case studies. Christened the ‘Nudge Team’ by the media, their work to analyse and design a program of intervention for Jobcentre Plus in Loughton led to an increase in people coming off unemployment benefit after 13 weeks. Many of the changes were simple; looking at the language used by Jobcentre employees and service users to describe their current situation; focusing on future possibility rather than past events. Alex also showed how similar changes in language influenced responses to an appeal for organ donation. Test messages ranged from communal good to loss of life, but more people were motivated to sign-up for a donation card when the message focused on them and their family. The tests also confounded assumptions about the emotional impact of imagery: for this issue at least, photos of good-looking people and cute kids had little effect. Using maps of the mind to influence motivation and predict behavioural responses is not new. Psychologists have been applying their science to help solve business problems for decades, to the delight of some, and chagrin of others. I left the conference feeling exhilarated and a touch ambivalent. As business becomes evermore data-driven, consumers; customers – people – are promised more choice, and products and services that are more relevant to them. Provided we are transparent about the techniques, the possibilities of BE to improve our economic lives are considerable. So the next time you go shopping and you find yourself feeling a bit like a lab rat don’t worry, it’s just those clever people watchers at work.